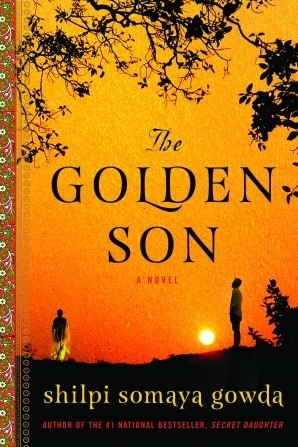 From Goodreads ~ Anil is the cherished son of a large family in rural India. As the eldest boy, he is expected to inherit the role of leader of his clan and arbiter of its disputes, dispensing wisdom and good advice. Leena is his closest companion, a fiercely brave girl who loves nothing more than the wild terrain they inhabit and her close-knit family. As childhood friends, they are inseparable - but as adulthood approaches, they grow apart. Anil is the first person in his family to leave India, the first to attend college, the first to become a doctor. Half a world away in Dallas, TX, he is caught up in his new life, experiencing all the freedoms and temptations of American culture: he tastes alcohol for the first time, falls in love and learns firsthand about his adopted country’s alluring, dangerous contradictions. Though his work in a gritty urban hospital is grueling, Anil is determined to carve out his own life in America. When they were children in a small village in India, Anil and Leena were friends. As they got older, Anil focused more on his education and they grew apart. Anil's dream was to be a doctor and he does his internship in Dallas, TX. His roommates, who were also originally from India, become his best friends. Anil adapts to America very well ... he discovers alcohol and even has an American girlfriend. His mother assumes he will return to their village once he is finished his education and training and Anil doesn't tell her any different. Leena is happy when her parents arrange a marriage for her and she moves in with her new husband and his family. Things don't go as she had expected and the consequence of her actions brings shame upon her family. This is the second book I've read by this author. I liked the writing style of this book and it kept me interested and wanting to read it. It is written in third person perspective. As a head's up, there is a bit of swearing. I liked the characters. It wasn't hard to feel that Anil was being torn by his two worlds. I knew very little about life in India and learned a lot. I found it interesting that the customs in India like arranged marriages, dowries and the things that can bring shame to a family still exist today. I enjoyed this novel and would recommend it.